LifeBridge Health > LifeBridge Health Business Services > Practice Dynamics, Inc. Practice Dynamics, Inc., or PDI, was established in 1996 as the medical billing company for LifeBridge Health. PDI provides comprehensive professional billing services for hundreds of physicians and non-physician practitioners rendering services at Sinai Hospital, Northwest Hospital, and Levindale Hebrew Geriatric Center & Hospital. We provide services exclusively to LifeBridge Health entities and are growing in direct proportion to the LBH community physician enterprise acquisition strategy. In 2015, we will process more than $300 million in charges and $110 million in cash. Our main office is located in Reisterstown, Md., on the northwest side of Baltimore, where we have more than 16,000 square feet of space specifically designed to support our cutting-edge billing services and allow for our future growth. 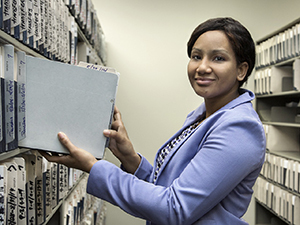 PDI has approximately 100 employees, each of whom is highly specialized in medical billing, coding and compliance. 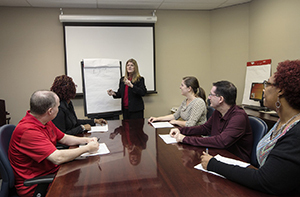 Our staff is organized into teams comprising billing, reimbursement, and coding and training. Dedicated PDI staff assigned to the practices include professional billers; claims processors; payment posters; recovery specialists; coders; coding educators; training specialists; and reimbursement analysts. Teams are designed to support specialties and to provide a single point of contact to the practices. PDI utilizes GE Centricity Business Solutions (formerly IDX) for billing, a high-end system that can easily handle a large medical system and also support future growth. GE modules being used include Scheduling, eCommerce clearinghouse, Transaction Editing System (TES), Open Referral Module, Billing and Accounts Receivable (BAR), Enterprise Task Manager (ETM), Anesthesia Module, Rejection Subsystem and Payer Contract Module PCM). PDI also uses Optum’s Claims Manager editing software to scrub claims data for coding compliance with federal, state and commercial payor regulations, and to help achieve 100 percent clean claims rate and prevent submission of “non-compliant” claims. PDI provides coding and compliance services to our practices. Services provided include E & M training, ICD-9 and 10 training, specialty-specific coding training including surgical coding, coding audits of provider documentation and billing, a coding help line, and quality audits of PDI coder performance. Practice and PDI staff are trained to ensure their highest level of performance in all revenue cycle applications. Significant training support is provided to all new community practices initially and ongoing, to ensure a smooth transition to LifeBridge Health systems.